One day they're crawling around the playpen and the next they're throwing barrels at plumbers and racing down Rainbow Road against Toad and Princess Peach! 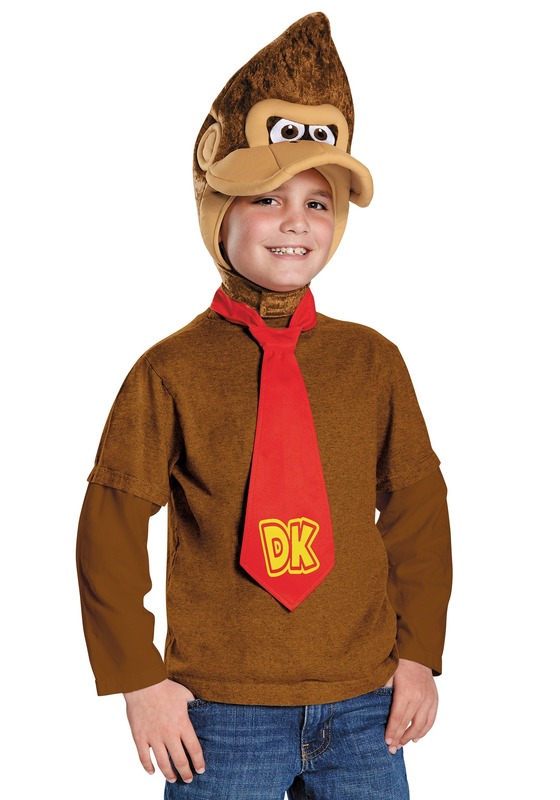 Yes, your child is growing into a Nintendo fan and his character of choice in Mario Kart is none other than Donkey Kong, so you can probably guess which video game character he's going to want to dress up like at his next costume party. This Donkey Kong Child Kit comes with everything you need to turn your kid into the ape from the games! Just make sure that you have a large supply of bananas and a go-kart ready, because your young one is going to need both of them if he wants to fully get into character as his favorite barrel-tossing video game pal!